ENGIE North America Inc. today announced it has acquired Systecon LLC, a complex modular solution provider for customers in a broad range of industries for mission-critical data center, commercial, industrial, hospital, government, education, and hospitality industry projects. Systecon LLC is a manufacturer of custom modular utility solutions, including modular central plants, CritiChill modular indirect evaporative cooling, custom modular pumping systems, central plant controls and standard pump packages. 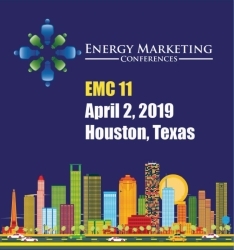 "ENGIE North America has taken a strategic approach to integrating outstanding mechanical and electrical companies into our comprehensive energy service model. Systecon built a solid reputation across the United States, having worked on more than 5,000 projects combining a unique custom, modular design plus factory-assembly approach that accelerates construction schedules, is less expensive, and can be safer than solutions constructed on-site for customers," said John Mahoney, President and CEO of ENGIE’s Services businesses in North America. Headquartered in West Chester, Ohio, Systecon was founded in 1949 and has more than 85 employees.